Lughnasadh Blessings! Boy, Am I Busy – How About You? I’m not sure how the Celtic god Lugh had time for games at the first of August – I’m always a busy, busy bee this time of year. Of course, Lugh was holding the festival games in honor of his belated stepmother (learn a bit about this here), but I guess time can stand still for a deity unlike we mere mortals. 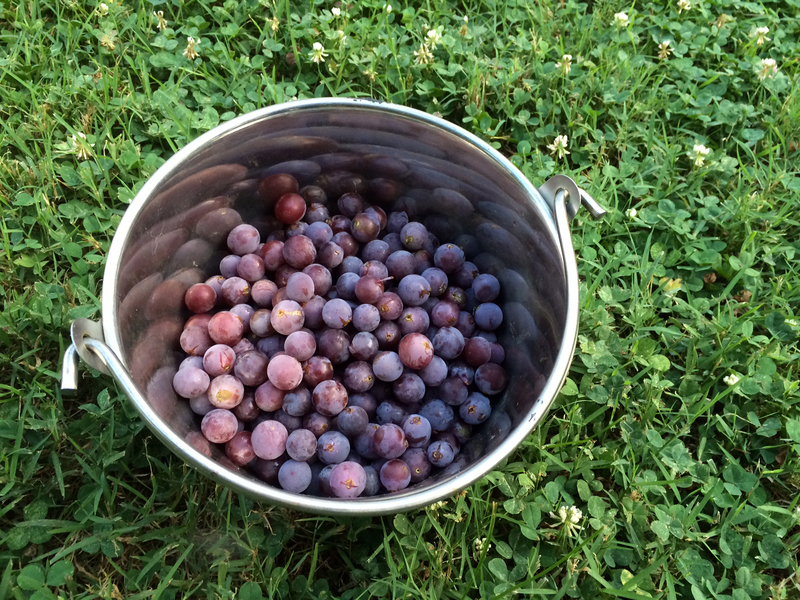 I’ve been chomping at the bit to finish up my Airmid cloak posts and to work on a story about spiritual beekeeping, but the hours of summer have been flying by with gardening, berry and grape picking (and the subsequent jelly and jam making) getting out in nature while the sun shines, and so forth. And I know I’ve touched on this in the past, but it seems to be true every summer. Just last night was a beautiful evening to pick the grapes that are finally ripening. 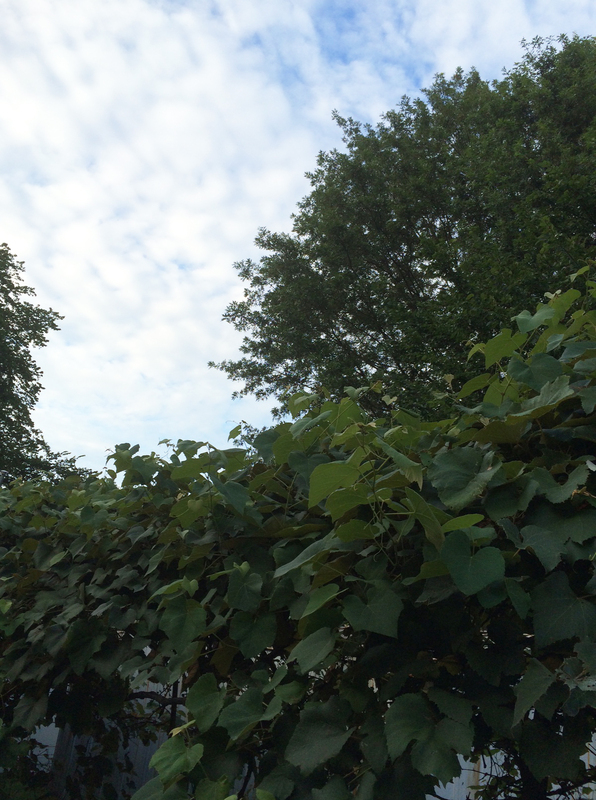 And the sky as I picked from the vines was gorgeous! Also, I’ve been hard at drying herbs and making tinctures and glycerites (herbal medicines for those unfamiliar with the terms) from both bought and wild-crafted herbs. The corner of my kitchen has been jam-packed with chocolate mint, yarrow leaves and blossoms, lemon balm, lemon verbena, and more! 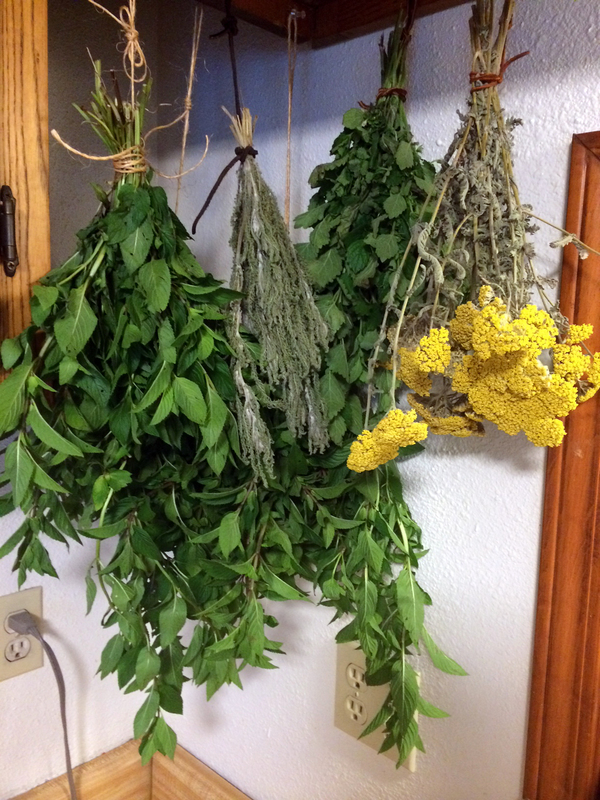 Mint, yarrow leaves, lemon balm, and yarrow flowers all dry in the kitchen. What have all of you been up to the last month or so? Whether you have been hard at it or just relaxing, have a blessed Lughnasadh (or Lammas, if you prefer)!